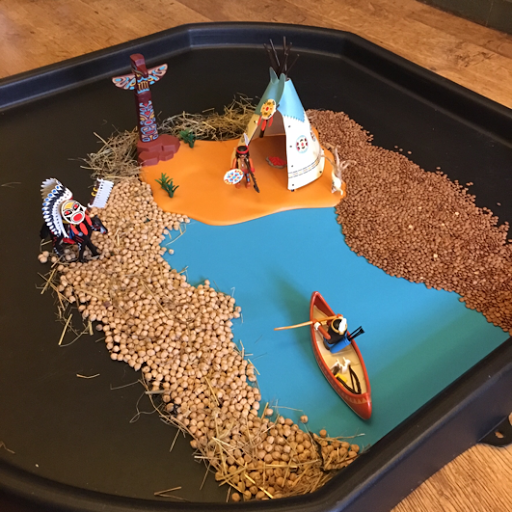 T loved this Native American small world sensory play tuff spot. He had so much fun playing with it. 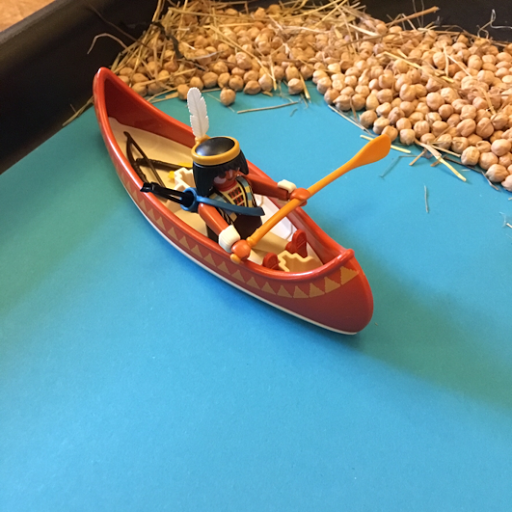 For a long time T has really enjoyed the Western videos on the Playmobil YouTube channel. 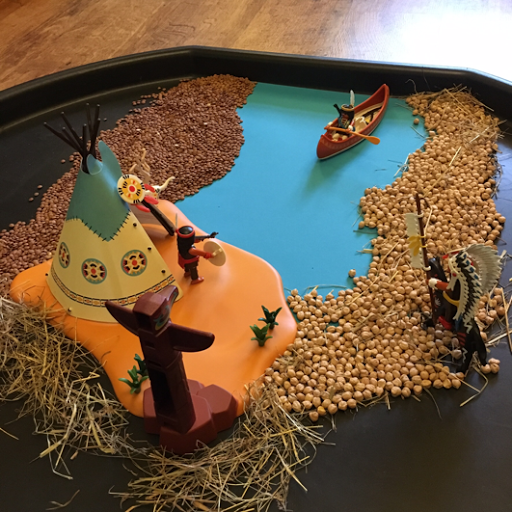 I thought it would be nice to create a small world for him to introduce him to Native Americans. 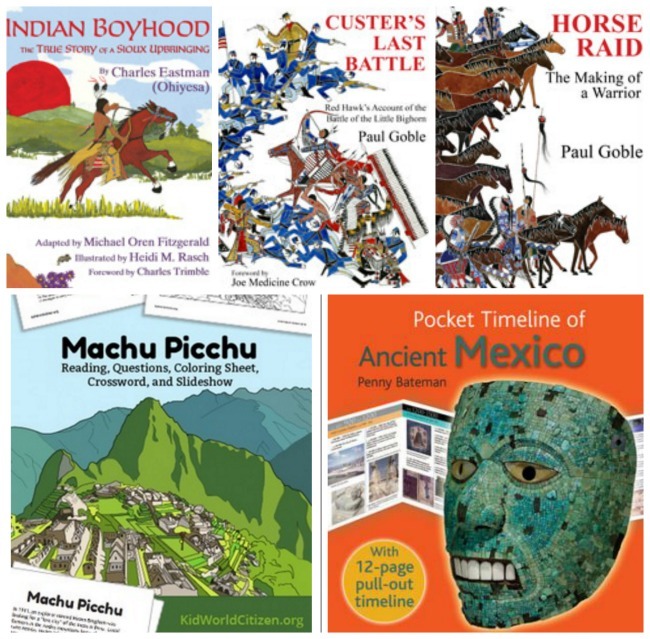 Whilst this is not our history or culture, I think small worlds are a great way to teach the very basics of other cultures so when T learns about them at school, he already has a basic awareness. 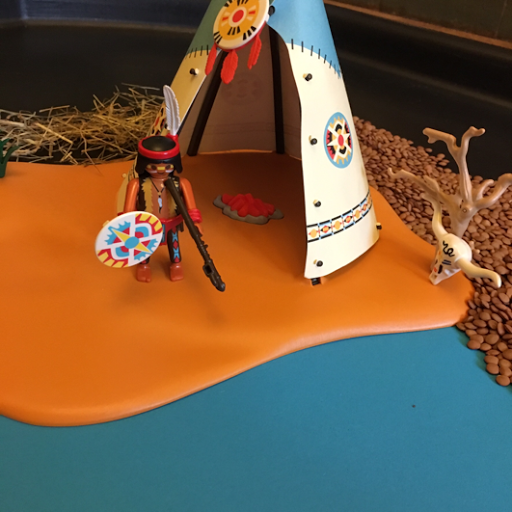 I managed to get this fab Native American Playmobil set secondhand and knew that T would love it. I started off by putting a sheet of A2 blue paper on the tuff spot. 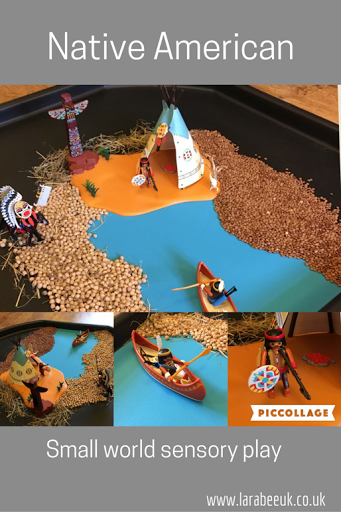 Next I added the teepee base and put some chick pea and brown lentil pebbles and boulders along the 'river'. I would actually have covered the whole tuff spot if I'd have had enough. I also added some hay to try and suggest a barren landscape! 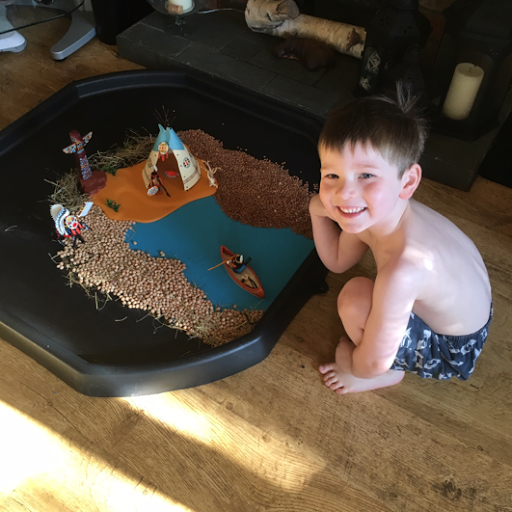 T really liked having the boulders to fill up the canoe and running his hands through them, sorting the hay from the pulses and making the horse walk through or over them! He really enjoyed the sensory aspect almost as much as playing with his characters. As you can see, he was super-excited when he came down and saw this. We talked about how Native Americans were living in the US long before the early settlers, that teepee's were made from animal skins. We looked at lots of totem pole photo's online and talked about the carvings and what they could symbolise. We kept it out for about a week and T spent lots of time playing with it. 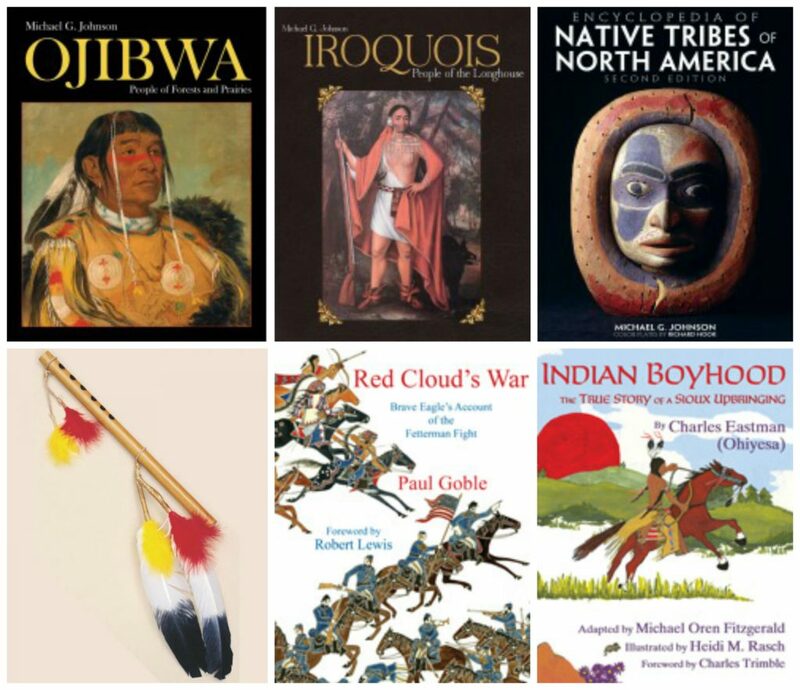 Visit some of the other blogs below for a more accurate and historical look at Native American heritage. Perfect for older children. 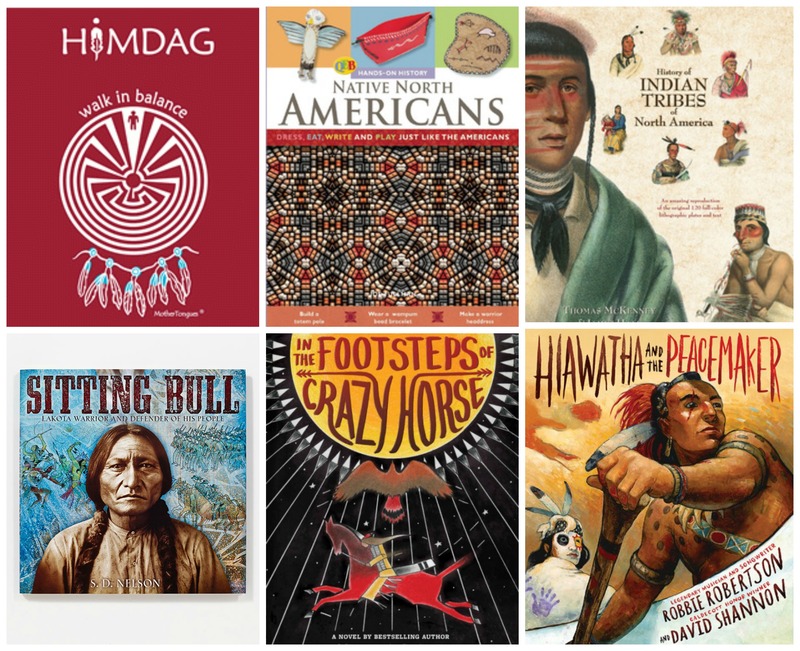 I'm joining in with the Native American Heritage Month Blog Hop for this post. I'm afraid that their giveaway is only for US viewers.